Other options, finishes and accessories available – please contact us for a free consultation and quotation. 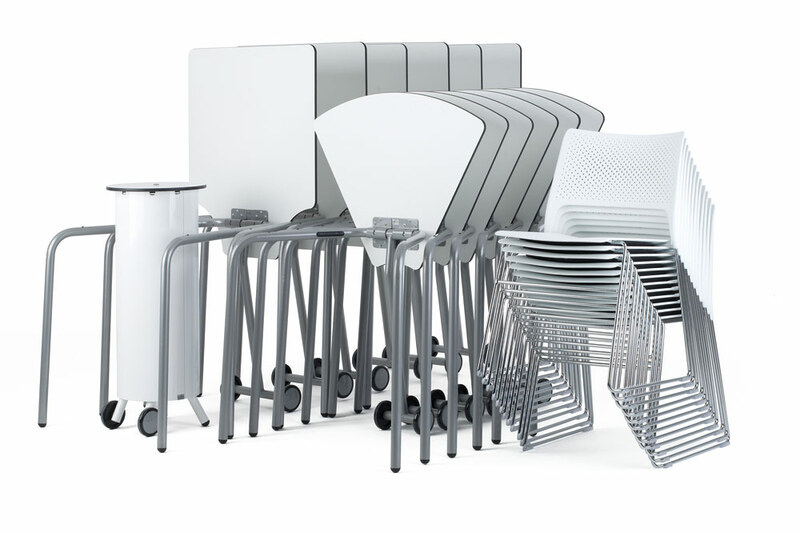 In rows, waves, collaborative groups, individual desks, clustered round a mobile power and data hub for ICT or flip the top up and stack them together to clear a space – you’re in control. 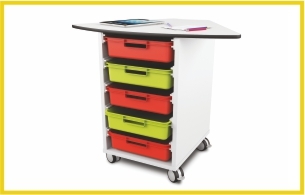 Tip top classroom table with wheels for horizontal stacking or fixed top without wheels. 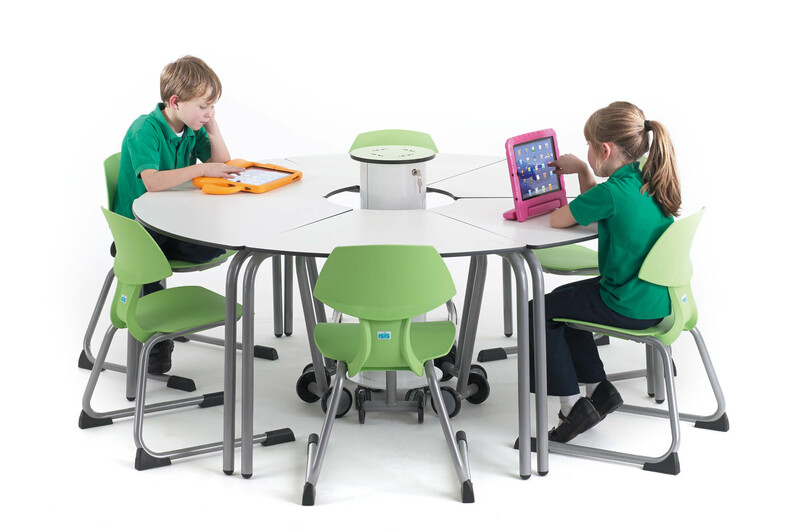 To create agile, adaptable & flexible classrooms, breakout spaces and learning spaces. 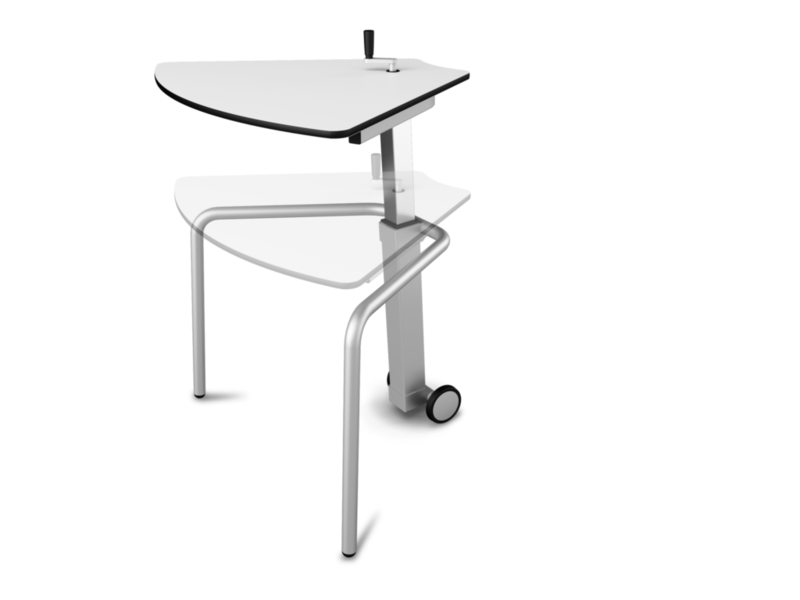 t41 Individual Student Table 60° – wedge shape t41, allows six to cluster in a circle around an zioxi Wireless Power Hub as required. 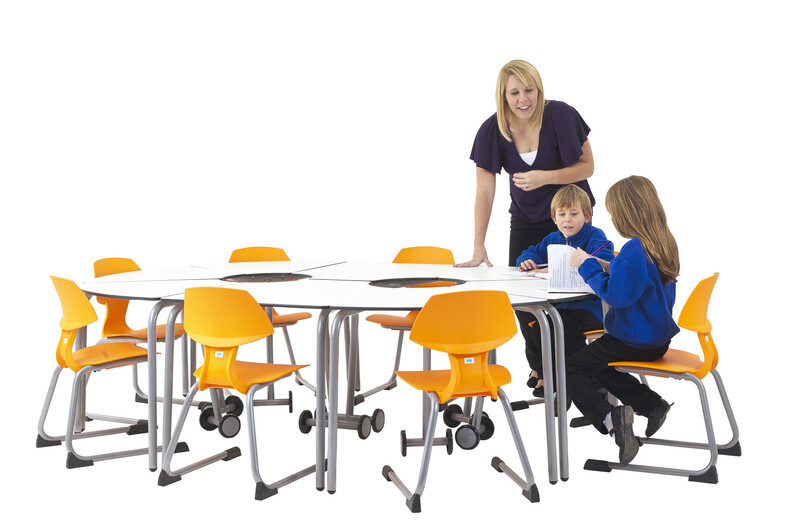 t41 Individual Student Table 180° – square shaped t41, offers endless layout options when combined with the t41 60° table. Available in four colours, two woodgrains and five different fixed heights (size 2 to size 6) or with variable height adjustment. 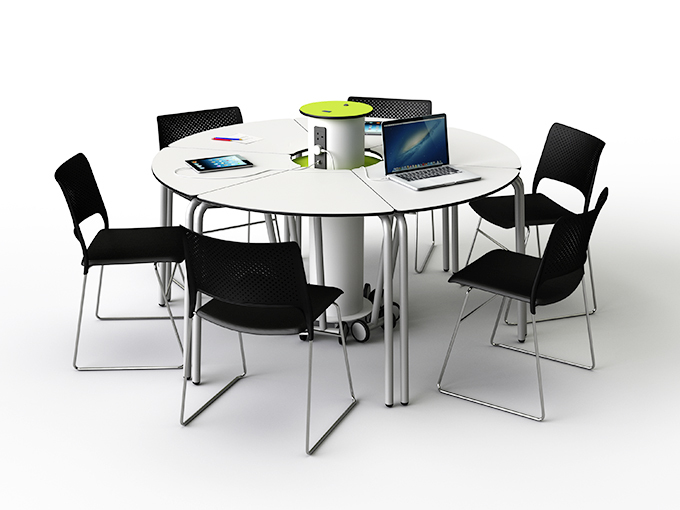 Optional centre Roundel tray, powerHub or table.